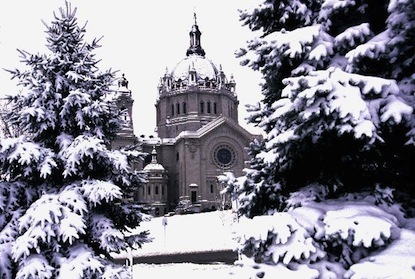 Welcome to the Cathedral of Saint Paul. Thank you for visiting our website! Each year, thousands upon thousands enter through the doors of this majestic Cathedral, at different times and for varied reasons. Some enter our doors as tourists, others come to seek spiritual comfort and solace, perhaps to light a candle and offer a prayer. 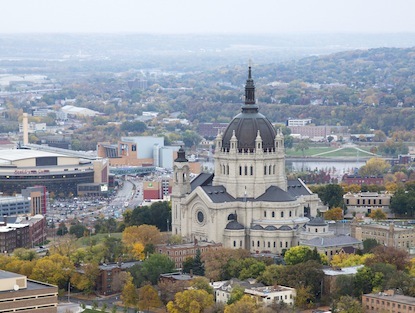 Many enter to celebrate the Eucharist at a parish Mass or attend a Mass celebrated by Archbishop Bernard A. Hebda, Ninth Archbishop of the Archdiocese of Saint Paul and Minneapolis. But each time that they do, they encounter beauty. In a world desperately in need of a renewed appreciation for the sense of beauty, this building can serve as an entrance into the hearts of those in search of meaning and purpose in their lives. 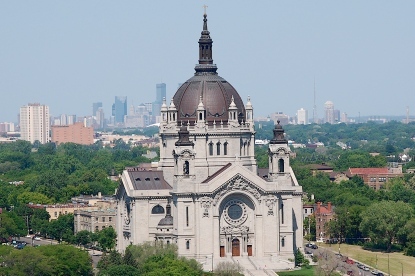 The Cathedral of Saint Paul was the dream of Archbishop John Ireland over a century ago. He remarked: “There should be no one, who entering this Cathedral, is not able to say- It is mine.” Today, it stands as a physical manifestation of the Church’s mission to invite people to open the doors of their hearts to Jesus Christ. This website is intended to be the virtual door to the Cathedral. 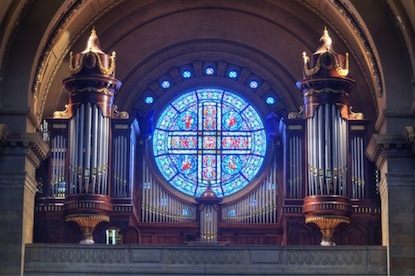 I especially invite you to browse our website, exploring the many ways that you can become involved in our Cathedral parish, as we seek to fulfill our mission. We invite all Catholics and indeed all people of good will to visit us in person. We look forward to seeing you here at the Cathedral. Read Fr. Ubel's weekly column online. You can also listen to the homilies from the 10:00 a.m. Sunday Masses. 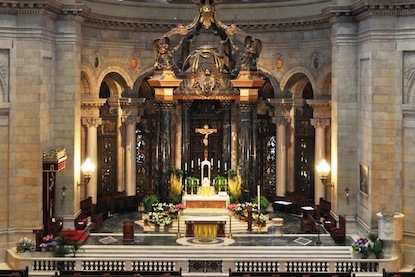 For previous homilies, please visit our Homily Archives.